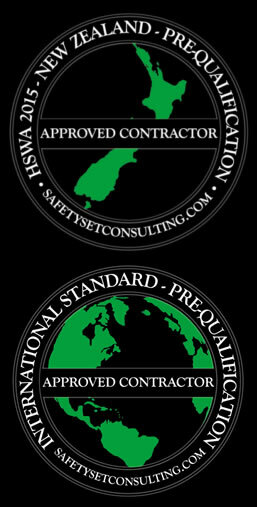 Contractor pre-qualification done by professionals for professionals. As Principal you have a responsibility to ensure all contractors you engage operate in a safe and compliant manner consistent with health, safety and risk legislation. Pre-qualifying contractors is considered an important step in creating an overall safe environment with WorkSafe acknowledging it is considered best practise to do so. Pre-qualification is a time consuming process and as you are critiquing another PCBU’s health and safety systems you need to be comfortable with the comment provided and ultimately issuing approval. Statistically your risk elevates by 60% when engaging contractors, can you afford to get it wrong? Our contractor pre-qualification process takes the time and risk away from you allowing you to focus on what you do best; running a great business or event. You simply provide us with your list of contractors, we conduct a full assessment via an online portal and upon successful completion issue a certificate acknowledging Approved Contractor Status. Pre-qualification can be conducted remotely or we can meet with those requiring extra assistance. No cost in time or money to you, minimal cost to your contractors. A: We will complete your Pre-qualification within seven days of receiving a complete submission. Q: Can it be completed in a shorter time? A: Yes, we can shorten pre-qualification for you, time taken is dependent on the quality of your existing system, evidence provided and your availability to address any items requiring attention. An additional fee may be charged under these circumstances. Q: Who assesses the pre-qualification? – Qualified industrial trainer and assessor (NZQA approved). Q: Do all contractors complete the same assessment? A: Yes, the initial questions and evidence sought is applied to all, once this is received and an understanding of your business perimeters is gained more specific information may be sought. Q: How long will my pre-qualification last? A: Pre-qualification lasts for two years subject to updated insurance policies and training and competency being provided at the twelve month mark. Q: Can this pre-qualification be used with different clients? A: There is no reason why not, pre-qualification is based upon recognised legislation and standards and conducted by qualified auditors. However, it is up to your clients if they have not directly engaged us. A: Your information is held by Safety Set Consulting, viewed only by those assessors directly involved. Q: What does pre-qualification cost? A: Cost is set at $350 for two years. Q: What if my current system does not meet the required standard? A: The process is a constructive one, where your system does not meet standard, we will provide guidance and direction on how to lift it to the required level together with the forms/documents to assist the process. Q: How do I know the same standard is being applied to everyone? A: Our work is moderated on an annual basis to ensure a uniform standard is achieved. Q: What do I receive once I pass pre-qualification? A: You will receive a letter of confirmation outlining the process, legislation and standards considered in making a determination and a certificate of Approved Contractor Status that you can provide to your clients. Both are provided in electronic form. The certificate is valid for 12 months, a new certificate is issued covering the 2nd 12 month period after having submitted updated insurance policies and training and competency register. This is included in the initial fee. PLEASE NOTE: The onus is on you to provide this information prior to expiration of your current certificate.